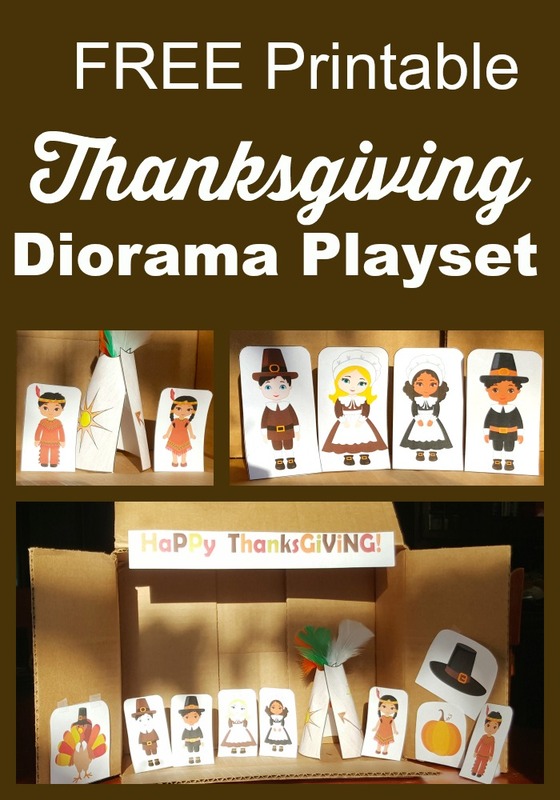 My 4th grader LOVES creating dioramas and to be honest my younger kids love playing with them so I thought it would be great to create a Thanksgiving printable diorama playset. It can be used as a pre-made diorama set up or as a child’s playset. Kids can use these characters to act out their own stories! Simply cut out the characters and paste them onto a craft stick for a puppet production or tape a pom pom ball onto the back so that they stand sturdy in the diorama box.